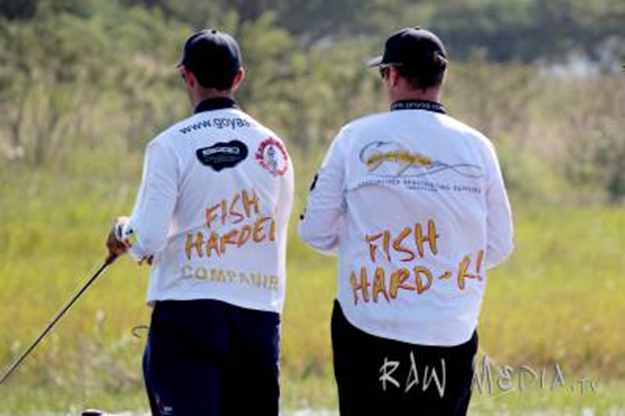 The third round of the Lowveld Bass Trail was hosted at Driekoppies Dam on Saturday 12 April 2014. 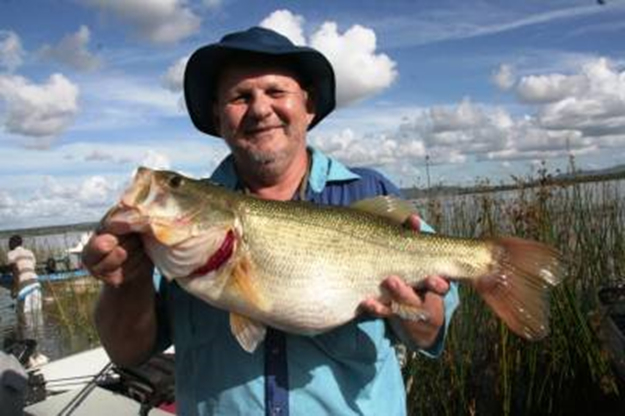 Driekoppies, a 1870ha dam, was in the past known for its population of colossal lunker largemouth bass. During the past few seasons, however, these big fish have been on the decline, and the dam is teeming with small juvenile bass. Expectations weren’t too high, but despite the fact that the dam was 100% full, and quite stained overall, the 27 boats that entered had some respectable fishing. Two bass over 3kg hit the scales during the weigh in. 126 bass were weighed with a combined weight of 46.114kg. The average weight was a mere 0.366kg, the lowest for the LBT so far this season, testament to the overabundance of undersized bass. Above: The top three teams at Driekoppies. The biggest bag and biggest bass were caught by Nicky Stapelberg of one-man-team Team Bullet with a fish of 3.475kg and a bag of 4.340kg. Charl Carey and Michael Cronje, of Team Angling & Outdoor, caught a five-bass limit weighing 6 pounds, 7 ounces (2.935kg) to finish third, bumping them up the overall log from 16th to 12th out of 48 teams, and back in to contention to fish the final at Maguga Dam, Swaziland, in October. Early in the morning, the team farmed an estimated 2.5kg bucketmouth hooked on a Natural Red coloured Spro Bronzeye Baby Pop. The bass annihilated the topwater bait as it was twitched over some floating grass, but seconds later it was off after a disappointing line break. Had the fish weighed, it would’ve probably pushed Team AOW’s bag to around 5.1kg. Heartbreaking, but that’s fishing! 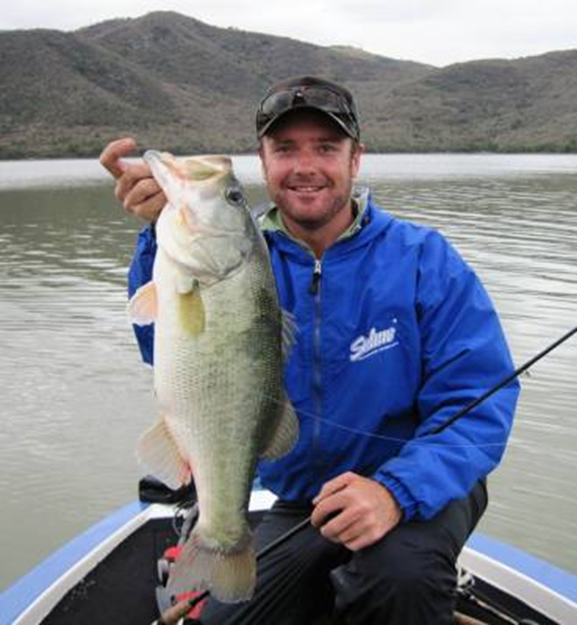 Above: Nicky Stapelberg with the biggest bass of the day, 3.475kg. Team Bullet: 5 fish, 4.340kg, 11.340 points. Conway Marine: 5 fish, 4.255kg, 11.255 points. Angling & Outdoor: 5 fish, 2.935kg, 9.935 points. Bent Rods: 5 fish, 2.360kg, 9.360 points. Go Fa: 5 fish, 2.270kg, 9.270 points. Brayshaw: 5 fish, 2.145kg, 9.145 points. Hazyview Midas: 5 fish, 2.041kg, 9.041 points. Rugged: 5 fish, 2.040kg, 9.040 points. Visarend: 5 fish, 1.960kg, 8.960 points. Aligator: 5 fish, 1.893kg, 8.893 points. Long Tom: 5 fish, 1.880kg, 8.880 points. Pumba: 5 fish, 1.850kg, 8.850 points. Mattador: 5 fish, 1.680kg, 8.680 points. 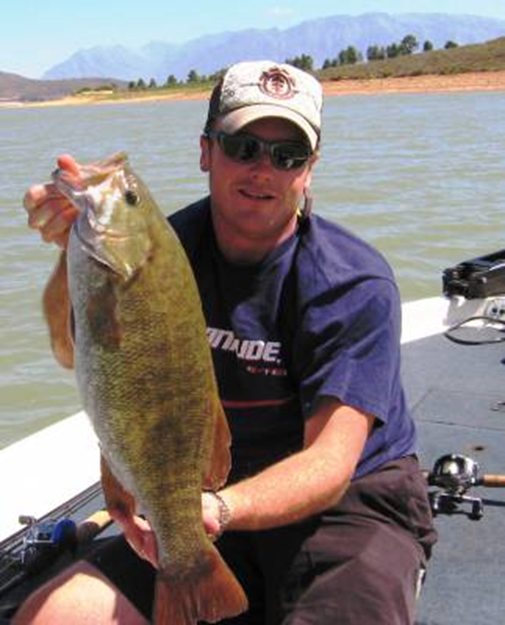 Bass Stalker: 5 fish, 1.575kg, 8.575 points. Ambassadors: 5 fish, 1.495kg, 8.495 points. The next round is to be held at Kwena Dam, Lydenburg, on Saturday the 10th of May 2014. As the season changes steadily from autumn to winter, as of round 4, fishing will start at 7am with captain’s meetings starting at 6:45am. Angling & Outdoor 22.129 points. 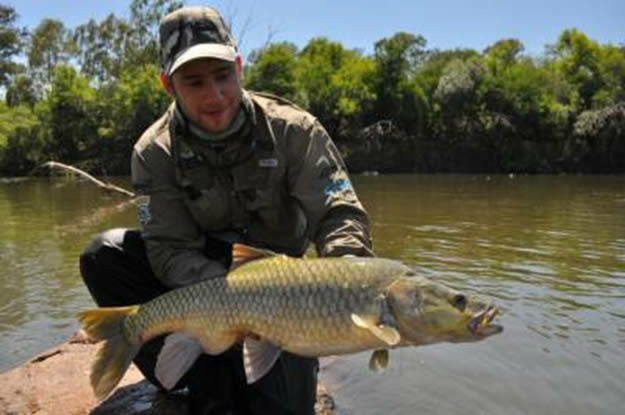 Above: Michael Cronje with the two biggest fish of Team AOW’s bag. During this installment of FishTalk, we’ll spend some time chatting to renowned bass angler, and proprietor of Goya Trading, Preston Dale. It’s fair to say that Preston can hold his own with a rod and reel in hand, and his fishing achievements include the following. Zimbabwe Junior Bass Colours. Zimbabwe Presidents Bass Colours . Western Province Colours – SA Nationals. 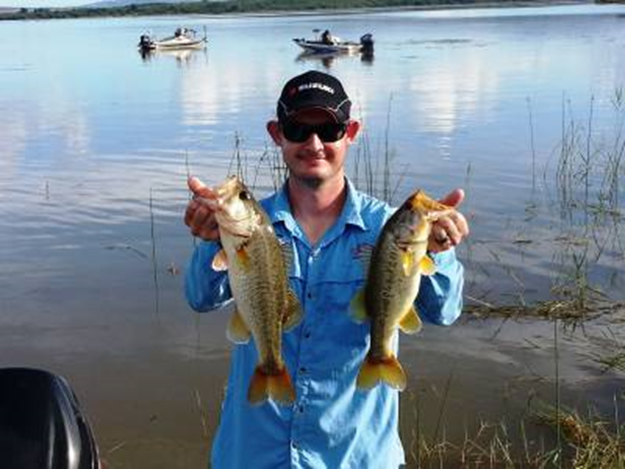 Inanda Bass Classic – Team Winners. BETT – KZN Tournament Wins. BETT – KZN Top 10 Finalist (two years running.) Let’s find out a bit more about how and why Preston does what he does. 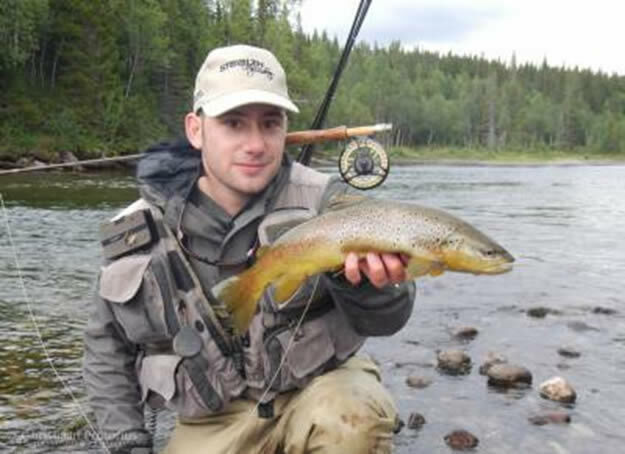 Today I continue my fortnightly column with a look into the fishing career of 24 year old flyfisher, Daniel Factor. 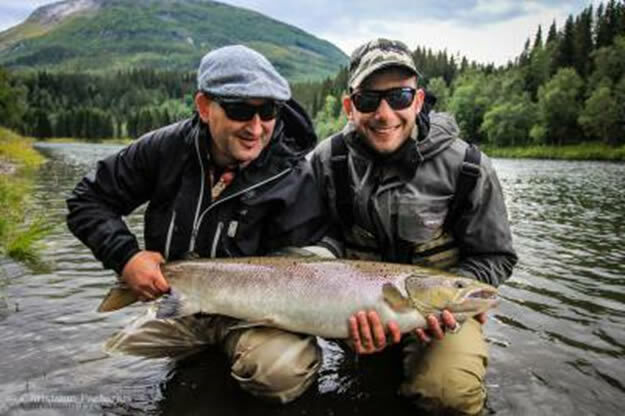 Currently the sales manager at Stealth Fly Fishing, Daniel comes from Johannesburg and represents Gauteng North in competitive flyfishing circles. In fact, he has captained this provincial team since 2011. He’s competed in three senior and one junior World Championships and one Oceania Championships. On top of that, he’s fished three youth, and six senior South African Championships, winning individual Gold, Silver and Bronze plus six team medals. 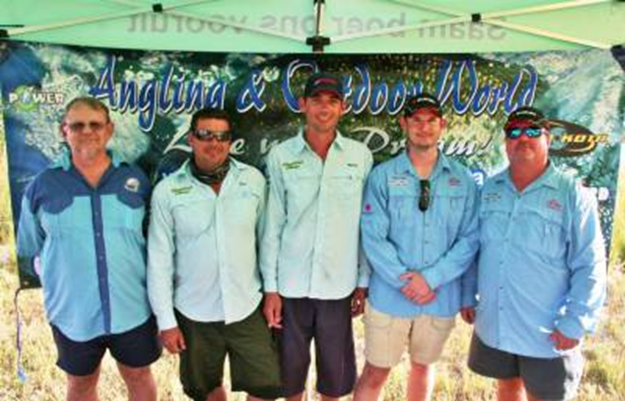 At the recent 2014 SA Fly Fishing National Championships he took individual Gold and team Gold. Let’s get stuck into the questions then.